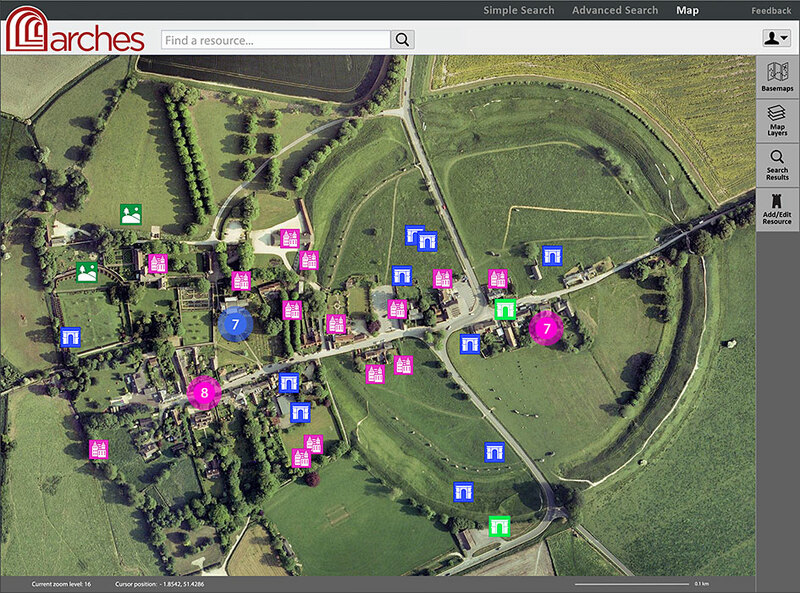 On the back cover: A close view of the Avebury World Heritage Site as it would appear in the Arches system, with icons identifying the various known heritage resources spanning many historical periods. Image: © 2013 Google Map Data. Conservation Perspectives, The GCI Newsletter is distributed free of charge twice a year to professionals in conservation and related fields and to members of the public concerned about conservation. Back issues of the newsletter, as well as additional information regarding the activities of the GCI, can be found in the Conservation section of the Getty's website. The Getty Conservation Institute works to advance conservation practice in the visual arts, broadly interpreted to include objects, collections, architecture, and sites. It serves the conservation community through scientific research, education and training, model field projects, and the broad dissemination of the results of both its own work and the work of others in the field. In all its endeavors, the Conservation Institute focuses on the creation and dissemination of knowledge that will benefit the professionals and organizations responsible for the conservation of the world's cultural heritage. The GCI is a program of the J. Paul Getty Trust, an international cultural and philanthropic institution that focuses on the visual arts in all their dimensions.